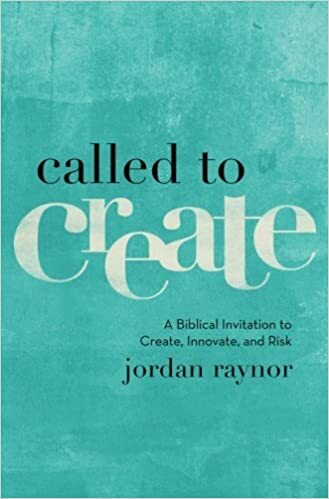 The book is basically an argument that all Christian are called to create in come way or another. For the hypothesis to work, Raynor needs to play around with definitions and stretch a little bit to make everyone ‘fit’ the mold. He considering entrepreneurship to be equivalent to creating, and defines it as ‘taking a risk for a general good’. I have a few issues with this definition and his attempt to expand the meaning to cover all forms of creating, but he does make good arguments as to why Christians should work and are called to do so. The book is broken into four parts – calling, creating, challenges, and charge – of three chapters each with a short intro chapter. At just over 200 pages, it is a ‘medium’ length book but reads pretty well. He gets a little overly repetitive, especially with certain phrases, such as, ‘called to create’. 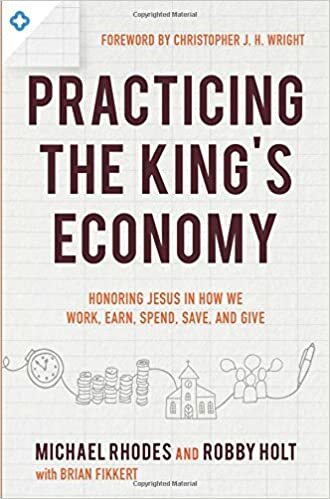 I wanted to like this book more, and overall thought it was pretty good, at least at pushing people to work and having a good understanding of the ‘Christian’ view of work, but disagree/dislike two major aspects of this book. First, unfortunately, I think the whole premise of this book, as far as the way to argues his point, is misguided. You do not have to be ‘called’ to create; you can just go create. God doesn’t have to ‘call’ you to start a business, you can just do it. Raynor is obviously a gifted and brilliant entrepreneur, but he doesn’t have to backdoor theology into it. He somewhat touches on this a bit in his chapter about pastors/missionaries. He pointed out what Luther did during the Reformation as far as saying all work in meaningful and pastors aren’t better other people simply by virtue of their profession. I think this is an issue again in our time, at least among Christians, that people hold up pastors as ‘holier’ or better than other. I actually heard someone ask a lady the other day, what she did to have two of her (three) sons become pastors. The lady said that she didn’t do anything and seemed somewhat surprised by the question, because in the question was the implication that the goal of parent is to raise a pastor or that all other careers are less important. The corollary would mean that she failed with the third son. Back to the book, while that chapter is great and important for our time, he contradicts the sentiment by writing the rest of the book. I’m sure many people feel ‘called to create’, but maybe some other just like paint, and enjoy it as a hobby. Or maybe some people, as he talks about business owners often, just want to work for themselves. Related to that, and my second issue with the book – his definition of creating and entrepreneurship. It is very much in the American ethos to see business owners as great and noble, they are the job creators, risk taker, the backbone of our economy; except that almost none of that is true. I’ve never seen a survey of business owners that even listed ‘create’ jobs as a reason to start a business. The number on response to why someone started a business is basically control/lifestyle. People want to be their own bosses. I know that the only reason I’d ever start my own business is so that I wouldn’t have to work 7-5 for someone else. His definition of entrepreneur includes ‘for the general good’ almost no private business are started for this reason. People either thing they can offer a new or better product or want to make a lot of money, if not for the reasons above. So, I think his whole basis is off, so much so, that he has to circle back and try to inject theology into it. He calls God the ‘first entrepreneur’ to justify everyone else needing to be one. There is no way God meets either part of his definition. God did not create for general good, but for His own glory. Likewise, He did not take a risk – God is all-knowing (omniscient) and all-powerful (omnipotent). By definition, He cannot ‘risk’ anything. All that said, if you are an entrepreneurial type person, or perhaps a creative person who is thinking of maybe a side hustle or career change, this could be an interesting book. There are cool stories and interviews with people who have started businesses and non-profits. His theology on work is great. Overall, you will get hyped reading this book because the author is such a positive and enthusiastic writer. This is especially true if you are techy or looking into new ways of doing non-profits (in which case, you could look even more in to Charity Water). However, if you are like friends of mine – she writes songs because she likes writing songs, he runs his own business because he wanted to work for himself – I’m just not sure it is the best for you. To me, his entire hypothesis is off-base and ill-defined, however, as I said above, if you are already wanting to start a business and just want some encouragement and are looking for something to read, this is probably a good book for you.